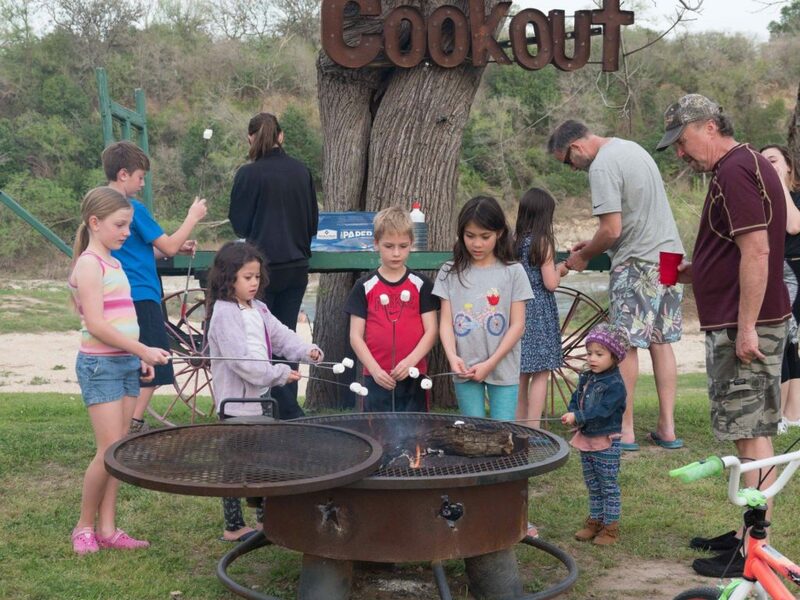 We love having families stay with us at Pecan Park Riverside RV Park. We work hard to maintain a safe and friendly atmosphere, by enforcing our guidelines and requiring extended stay guests to pass a background check. 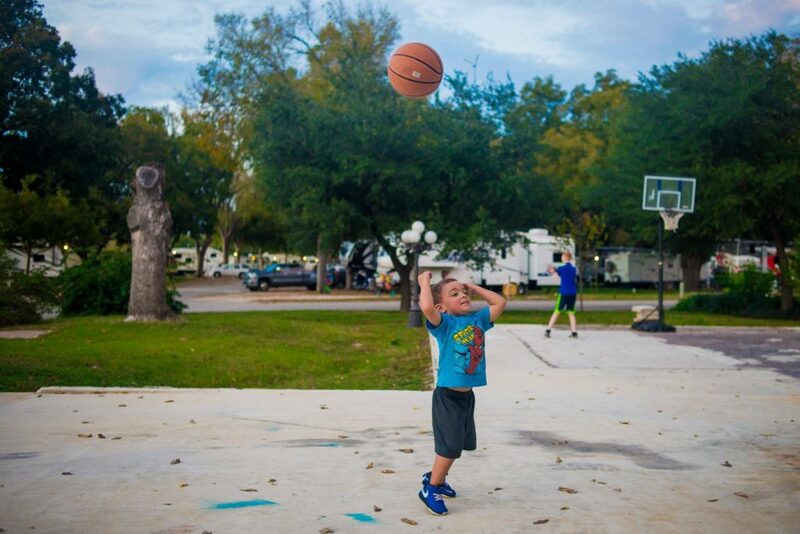 Families with toddlers may wonder how they’ll be able to satisfy the restless spirits of their little ones while they’re at our RV campground. Here are seven activities you can enjoy together, without ever having to leave the grounds! 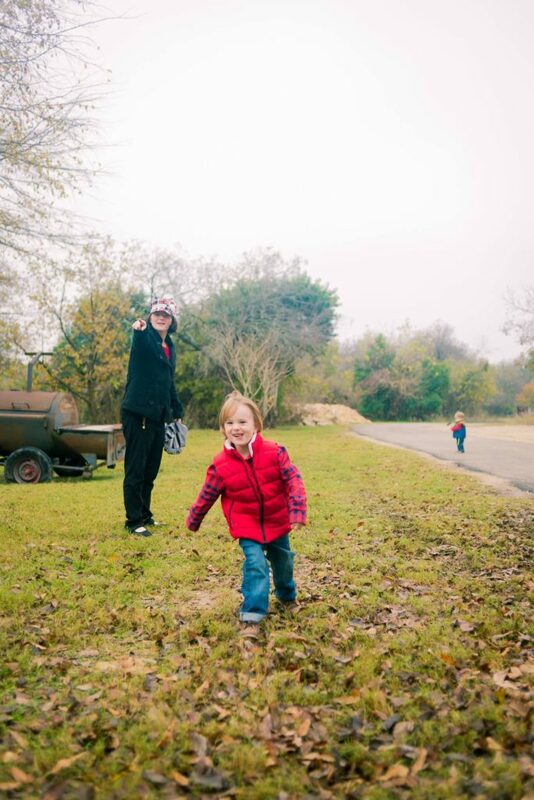 Allow your toddler to lead the way through our quiet, shaded campground. Chase our squirrelly mascot, Jerry P. Cann. 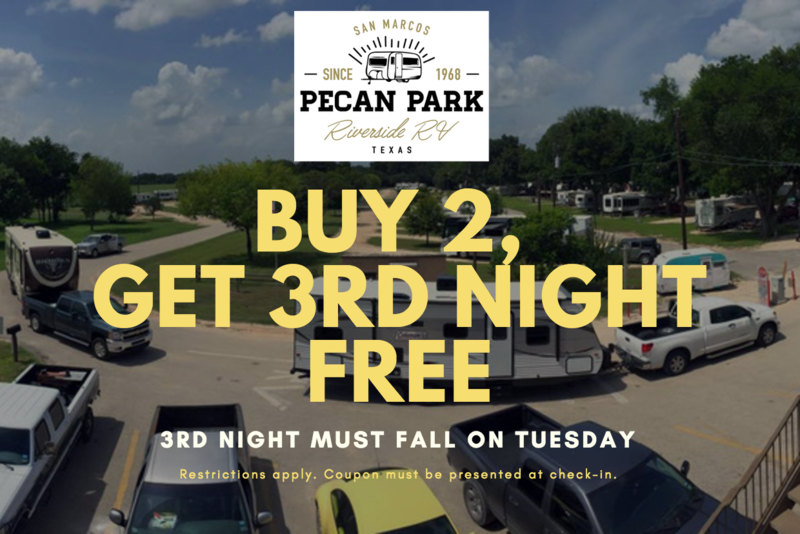 Pick up fallen pecans. Sit on our swing overlooking the San Marcos River. Take the stairs down to the riverside and get immersed in Texas Hill Country nature. You don’t have to work hard to entertain your little one–let the great outdoors do the work. 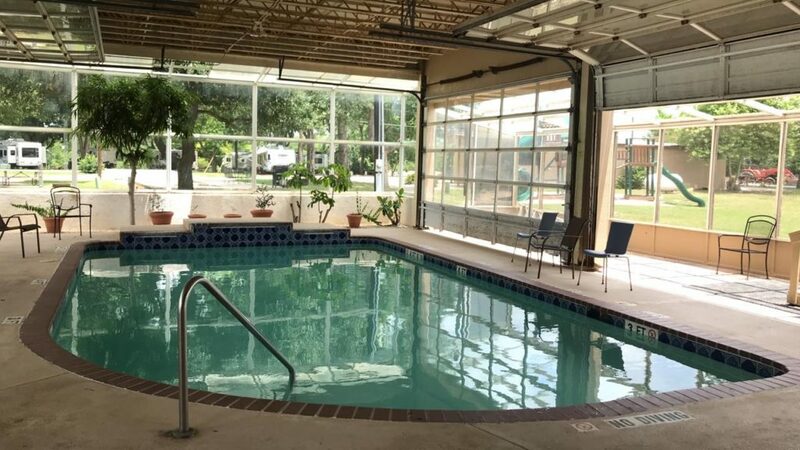 If the weather is too hot or too cold, then it may be time to throw on your swim suits and head to our indoor swimming area. No sunscreen necessary! We have a large heated pool if you have floaties on hand. Or if you prefer a swimming area more your toddler’s size, then you’ll love our kiddie pool. Our smallest guests will be able to safely stand up and play, away from the big kids who may be splashing in the larger swimming pool. Toddlers never tire of a fun playground, willingly visiting day after day. We carefully maintain our playscape, making sure it’s stable for little feet. 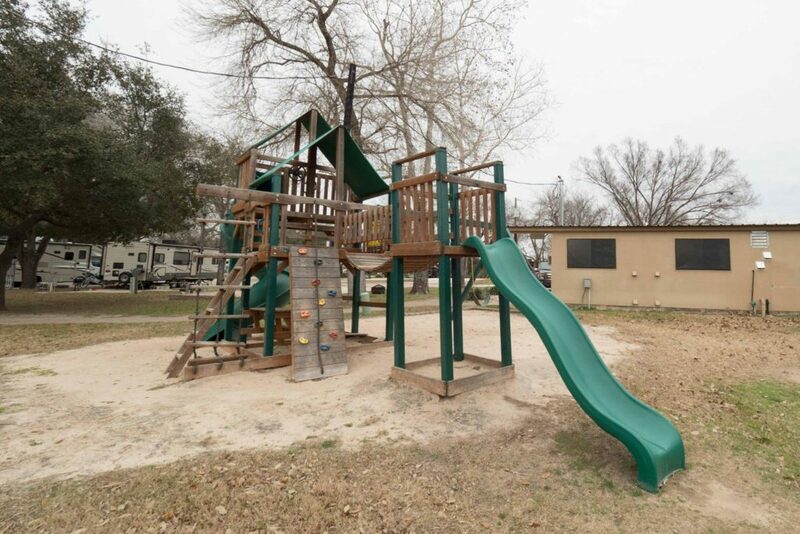 Parents especially love that the playground is located directly next to the laundry facility, which means you can easily manage washing, drying, and your toddler at the same time. 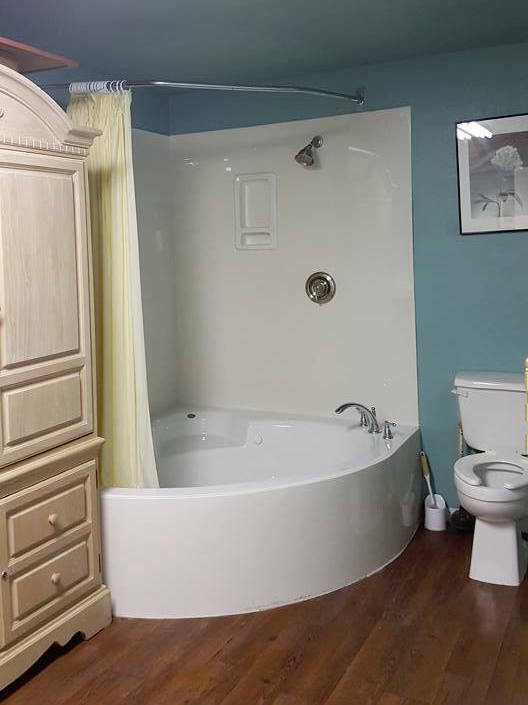 Little-known fact: we have jacuzzi tubs! They are private, located next to our office, and open during business hours (so our staff members can make sure they always stay clean for guests). Since you probably didn’t bring a bathtub with you in your RV, you can wash the inevitable coat of dirt off your toddler with a big bubble bath. Don’t forget to bring your own soap, towels, and any other toiletries you need. Did you know we have an Activity Room right next to our office? Don’t miss it! 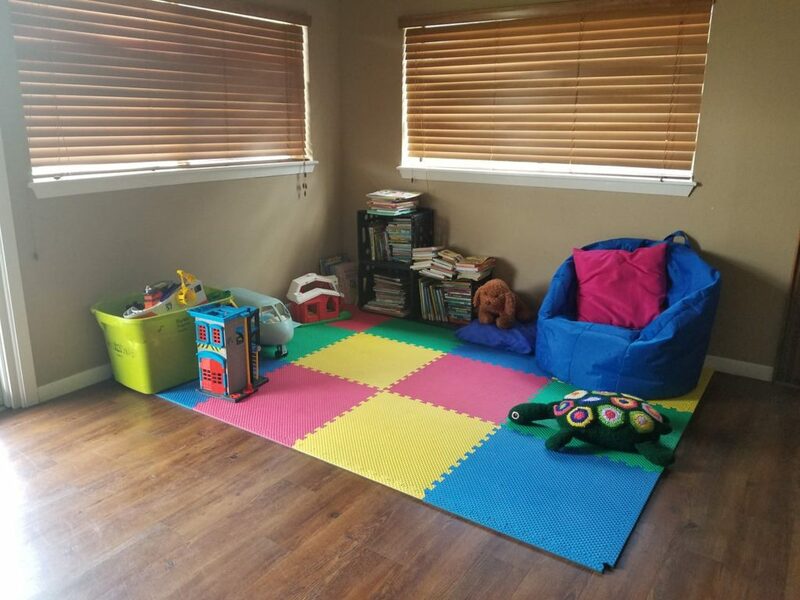 Our children’s corner has a padded mat with a beanbag chair, toys, stuffed animals, and tons of books. When you’re ready to curl up for some quiet time, this is the place to go. Our Activity Room is open during office hours: Monday through Saturday from 9 a.m. to 5 p.m., Sunday from 10 a.m. to 3 p.m., closed 12 p.m. to 1 p.m. for staff lunch. Note that we also have a puzzle exchange and movie rentals! 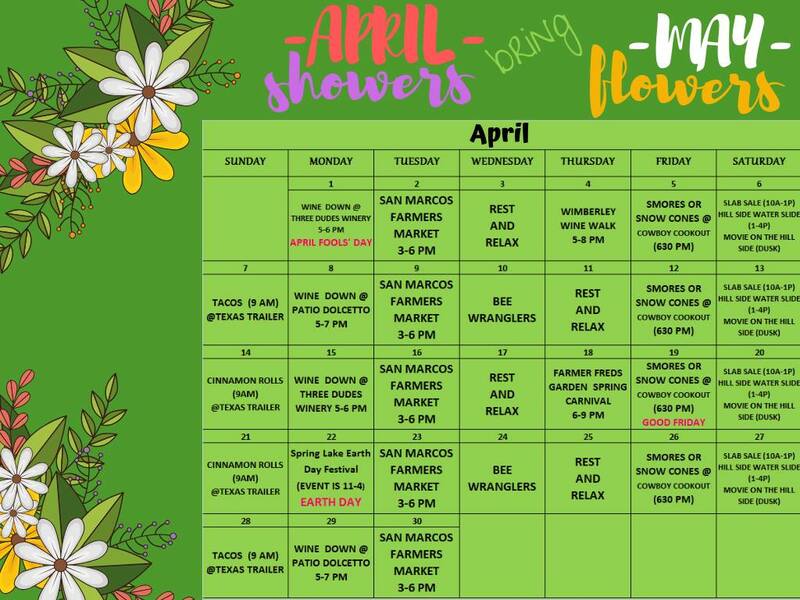 To see our current calendar at any time, click the “Calendar” button at the top of our website. 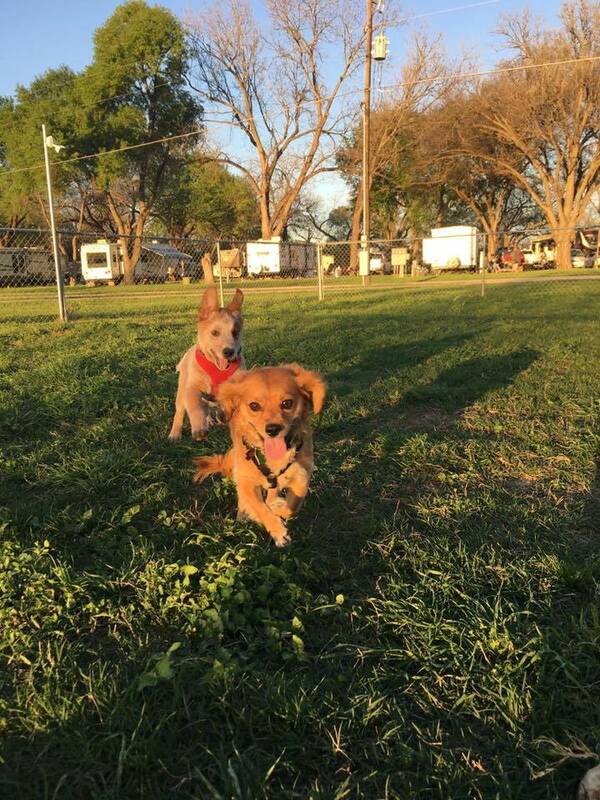 We have two dog parks at Pecan Park Riverside RV Park, with the central dog park being most-used. While you should stay outside the fence for the safety and comfort of everyone involved, your animal-loving toddler will probably love watching the antics of our furry guests. « Do You Remember Making Shadow Puppets?